THE RIGHT TO STRIKE IS NOT OPEN TO INTERPRETATION. That’s the principle at the heart of a case the BC Ferry & Marine Workers Union (BCFMWU) has taken to the BC Supreme Court. The union wants the court to overturn an arbitrator’s ruling that interpreted the union’s 2007 acceptance of a binding arbitration process as the same as giving up the absolute right to strike. That is something the union says is definitely did not do. It is also something the union wants to be made crystal clear before they enter the next round of collective bargaining, scheduled for 2020. Giving up the right to strike has to be very explicit, says union president Graeme Johnston. It has to be a clear declaration of a desire to abandon any claim to that right. Johnston says the union has never done that. The union believes its case is strong. The rights to strike and to free and fair collective bargaining are fundamental rights for all workers recognized in the Canadian Charter of Rights and Freedoms. Ferry workers had their right to strike taken away in 2003. The right-wing provincial Liberal government intervened in their legal strike to impose an 80-day cooling off period—effectively ending the strike. However, the union is ready to limit its right to strike. 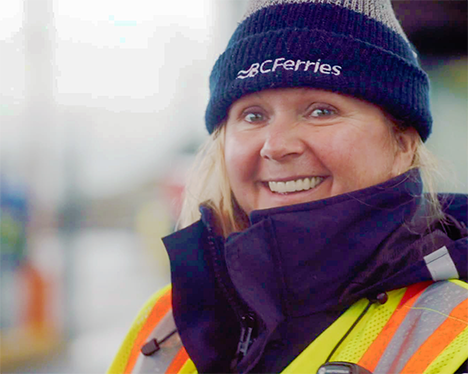 It agrees the ferry service in BC is a lifeline. More than 700,000 people live in coastal regions or islands that depend on ferries to get to work, go to hospital, attend school, or do business. This makes ferry service an “essential service.” The BCFMWU agrees. BC ferry workers are far from the only group of workers in Canada who have been robbed of their right to strike over recent months and years. In a worrying trend, governments at all levels have either imposed legislation or pushed new contracts that prevent workers from fighting for their interests on the picket line. Most recently, the federal Liberal government imposed back-to-work legislation in November to criminalize a strike by 50,000 postal workers. Members of the Canadian Union of Postal Workers had been engaged in rotating strikes for over a month to protest poor workplace safety, the overworking of employees, and attempts by Canada Post to hire more temporary workers. In early 2017, 9,600 teachers in the Nova Scotia were barred from legally striking by the provincial Liberal government. The current collective agreement bans strikes until the agreement expires in 2021. In 2011, the Ontario Liberal government passed legislation declaring that transit workers in Toronto provide an “essential service” and should therefore be banned from striking. The legislation was adopted after complaints by then Toronto mayor Rob Ford about the cost to the city caused by strikes. The law is a violation of Canada’s obligations under international labour law, which considers the right to strike fundamental. These government actions all undercut the right to strike guarantee in our Charter of Rights and Freedoms. They should, and must, be challenged at every turn—just as the BCFMWU is doing. If the court upholds the strike ban on the BC ferry workers, it will allow other employers in the province to outlaw strikes through the back door by relying on arbitrators’ decisions instead of explicit language in a collective agreement. This would inevitably lead to a further restriction on the rights of BC workers to walk off the job to defend wages and working conditions. Rights denied are not rights at all. It’s a principle the BCFMWU understands and is ready to fight for. More power to them.